Spring 2004 DCA and Disneyland Photos - Part 2! 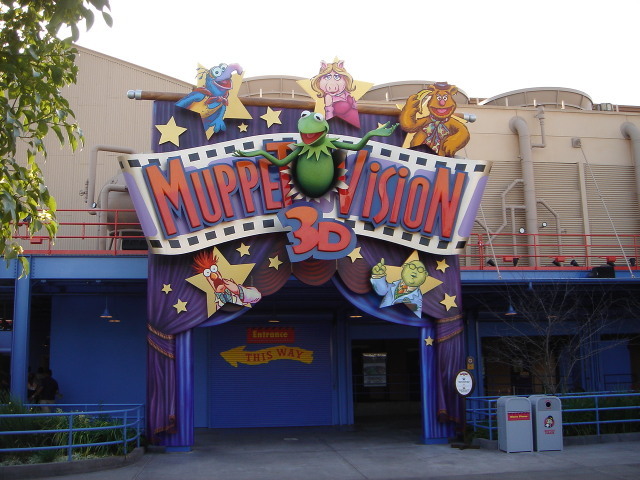 Photos from "2002 Solace Weekend Trip"
Disney's second gate in Anaheim opened to much fanfare, but smaller-than-expected crowds, in 2001. 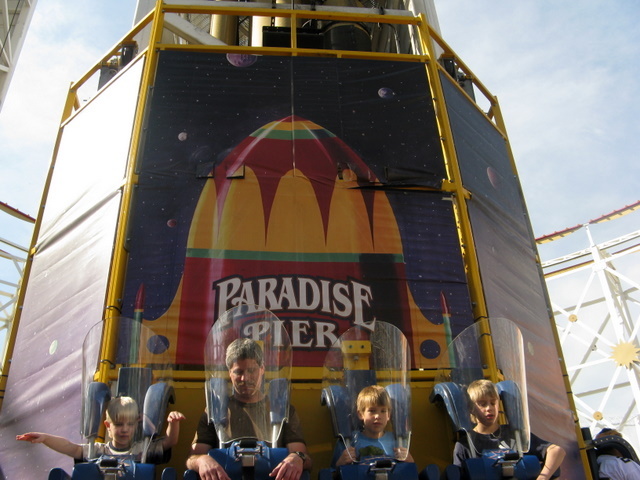 Although some of the park's big rides, such as California Screamin' and Soarin' Over California, were popular, many guests found the park as a whole perplexing and disappointing, due to the odd choice of theme and scarce number of attractions. However, Disney has taken big steps to "fix" the park, and although it still isn't top-of-the-line Disney, it is much improved from its opening day. 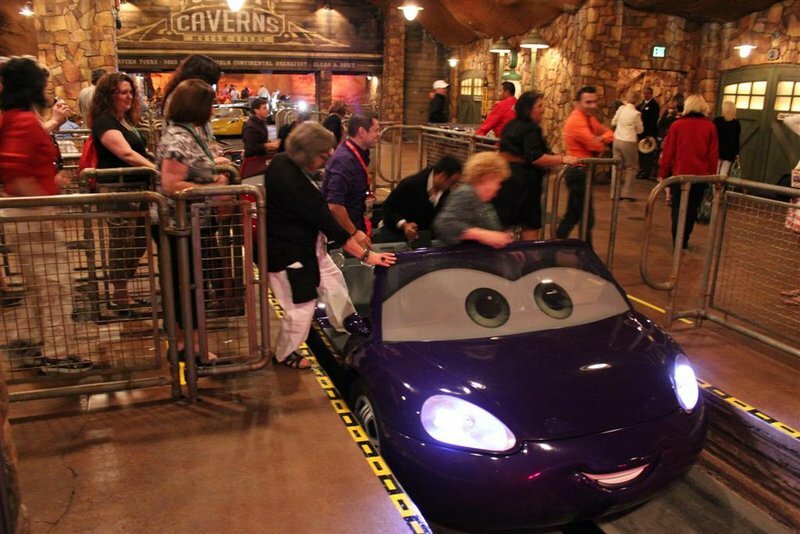 The addition of Cars Land and the Radiator Springs Racers gave the park another much-needed E-ticket ride. Toy Story Midway Mania, the Little Mermaid, and Tower of Terror also make the park seem more "complete" than it did on opening day. 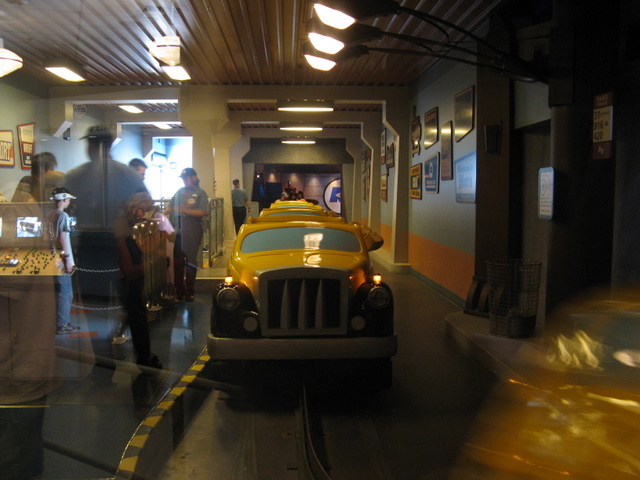 But even though Cars Land is a big draw, and Racers Fast Passes run out quickly, DCA still isn't quite "there" yet. Even so, the park is very enjoyable and a nice complement to the original Disneyland. Food offerings are better than average here, too. This park has some positive aspects, however it definitely doe not meet up to typical Disney theming standards. Even the rides leave a lot to be desired. California Screamin' is an ok standard coaster, but nothing to write home about. 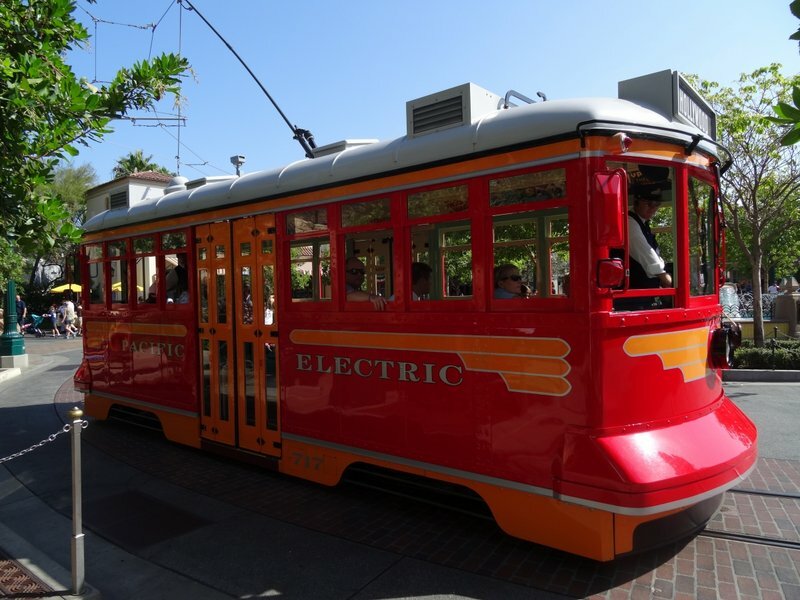 It's worth a visit if you are already at Disneyland and can put down a few extra bucks for a park hopper, but in general both kids and adults will have a better time elsewhere. While DCA opened in 2001, many people still do not think of it as a complete park, as it lacks another big and needed "e" ticket. 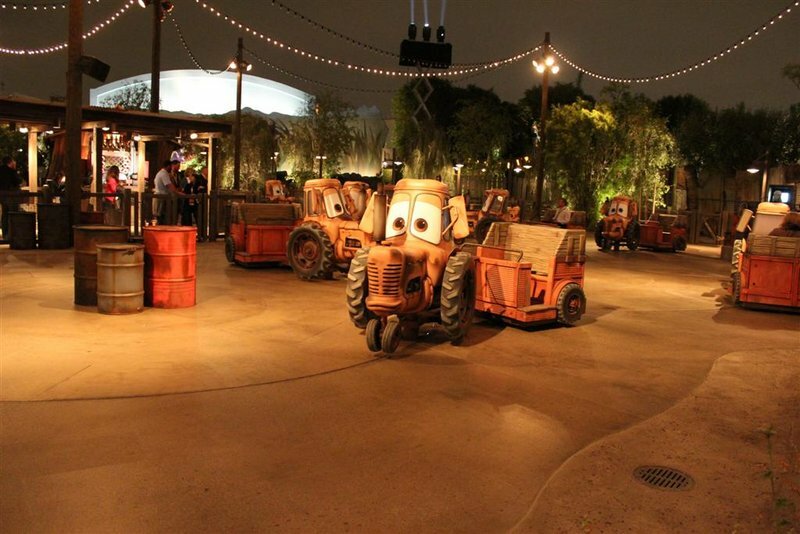 Carsland I believe will finally and officially make DCA feel as if it were a complete park. With fantastic Disney attractions such as California Screamin', Tower of Terror, and Soarin' over California, DCA Gives a great big thanks to California and all that it gave to Walt. With the new entrance plaza and completion of the 1930's Hollywood area of the park, DCA will open as a changed park, one that now truly give tribute to Walt and California. 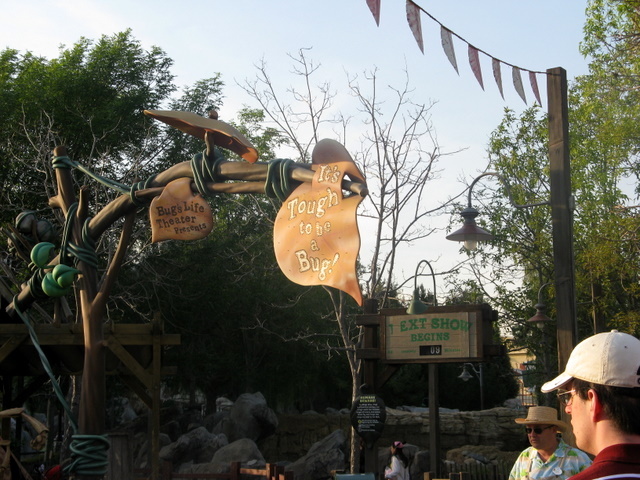 Currently, the park has two of Disney\'s best thrill rides, TOT, and Screamin. Toy Story is an amazing dark ride. Yet, masked under the efficiency and cleanliness is a park that really doesn\'t feel like a complete park. The park has always felt like it was in phases of construction, even before it actually was! Hopefully, construction and exapnsion can make this park feel less like a nice Six Flags park, and more like a true Disney park. While I do find the massive array of construction walls ugly and unappealing, I still think that Disney California Adventure is worth a visit (but only if you're an annual pass holder or have a mulity-day ticket). Though not quite there yet, there's still some Disney magic to be found and some great attractions to experience at Disney California Adventure, such as The Twilight Zone Tower of Terror, Toy Story Mania, Soarin' over California, California Screamin', and the Aladdin show at the Hyperion theater. TIP: Get to the park early so that you obtain a FASTPASS for Soarin' over California and beat the crowds at Toy Story Midway Mania. You may also want to pick up a FASTPASS for the World of Color show, one of my favorite Disney shows. You might want to wait until 2012 to visit DCA, as it's currently lined with construction walls while undergoing a huge "makeover." 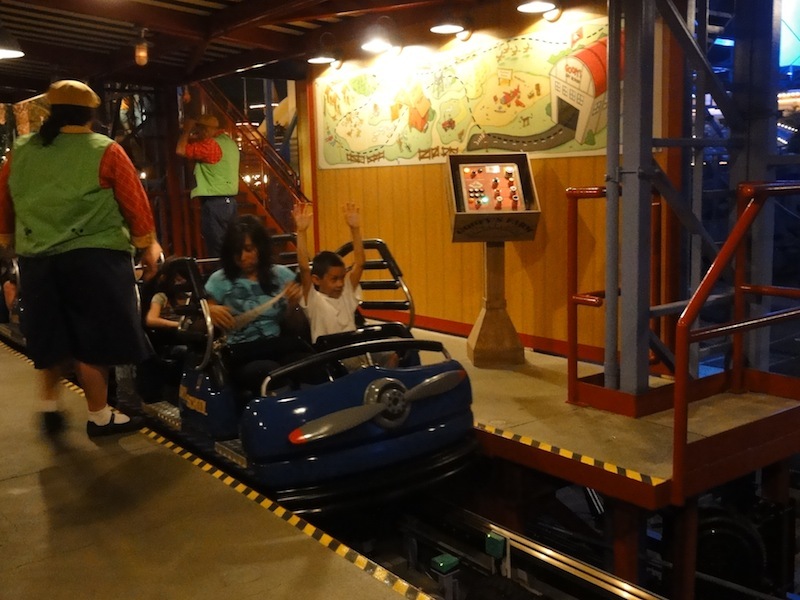 As it stands now, California Screamin', Soarin' Over California, Midway Mania, and Grizzly River Run are the main reasons for visiting the park. 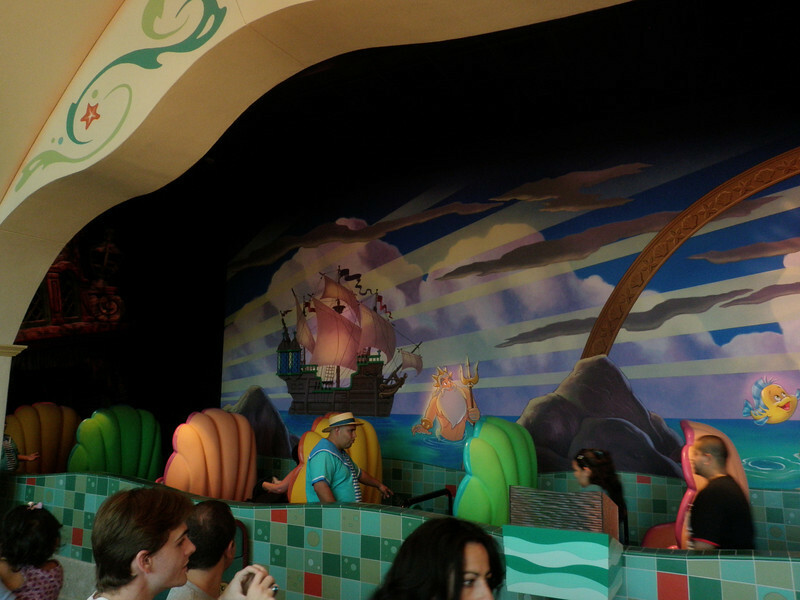 The new Little Mermaid ride (2011) and Carsland (2012) should kick this park up a notch. As it stands now, it's probably Disney's weakest park next to the Studios park in Paris--but the new additions show promise. When the park first opened, I was EXTREMELY dissappointed. It didn't have good atmosphere or much of anything redeeming like its neighbor across the way. Good thing Disney's puring money into the park to get it going again. It may turn the struggling fun spot into a good destination. This place was a lot of fun and a great way to spend a day, but it could use some help (which is is currently getting). The rides are all well done, California Screamin' is one of the best coasters I've ever been on, and the Disney magic is always around. Not quite as excellent as DisneyLand, but still a great way to spend a day. I truly enjoyed my experience at California Adventure. There is a fantastic collection of rides across from Disneyland. 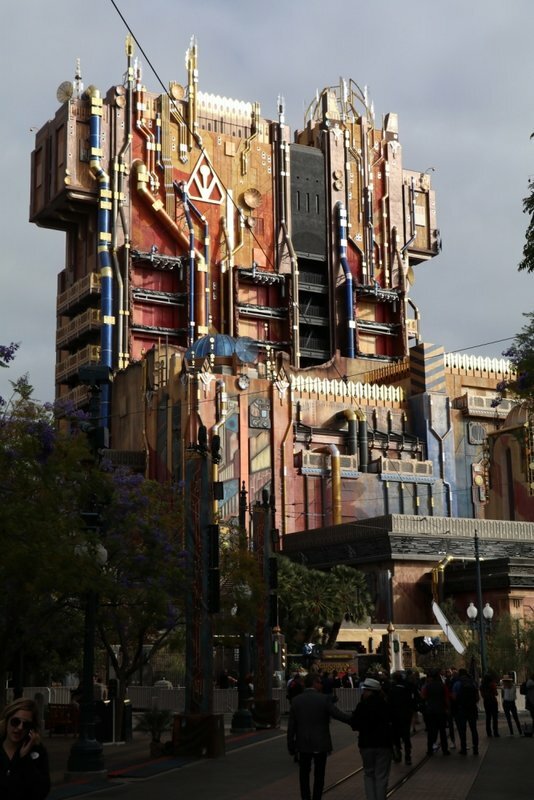 California Screamin' and Tower of Terror are both exceptional thrill rides, and the park has Disney Theming. 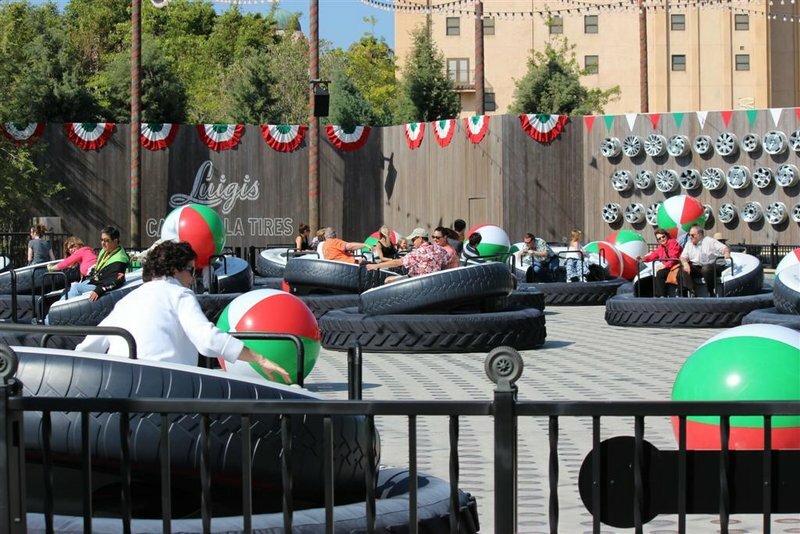 This park is definitely on the rise and after Cars Land opens this park will be a great full day park! As a second park at the Disneyland Resort, California Adventure is great. 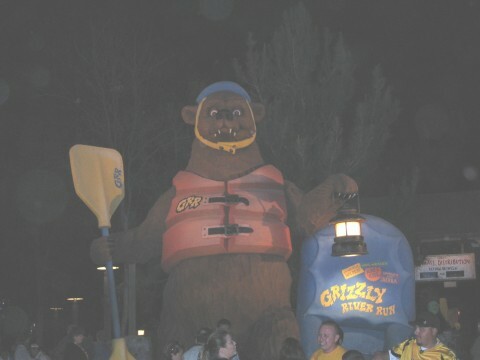 It is home to the majority of the resort's thrill rides, and has a few unique attractions that aren't found in any other Disney park. 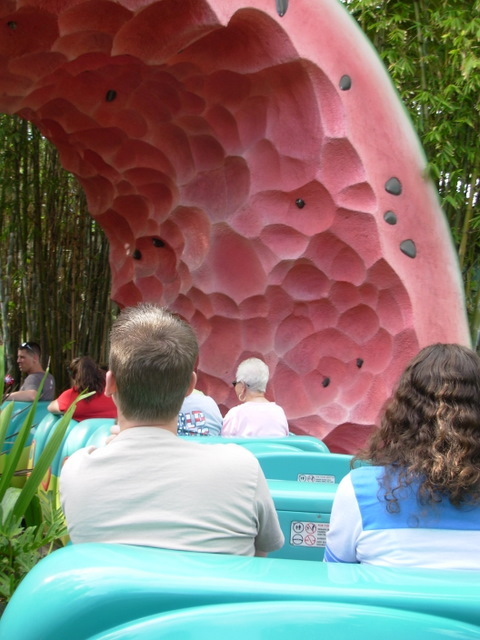 However, the park is a little lacking in the attraction department, and only has five or six rides that aren't generic rides themed by Disney. It isn't worth a day on its own, but combining California Adventure with a visit to Disneyland can lead to a great day. This park had potential but didn't really live up to the expectations. They have some amazing rides in California Screamin, Soarin, Tower of Terror (even though it's not as good as Florida's version), and GRRrrrrrrr. I have not experienced World of Color first had but I have seen several videos and it looks quite entertaining. I have a feeling the next time I will visit this park is when all the "re-designing" is done. This park still has great potential. I really wish I could rate DCA higher. It just doesn't have the amount/quality of rides as other parks. The operations are great, as are most Disney parks, but there really lacks a personal feel to the park. 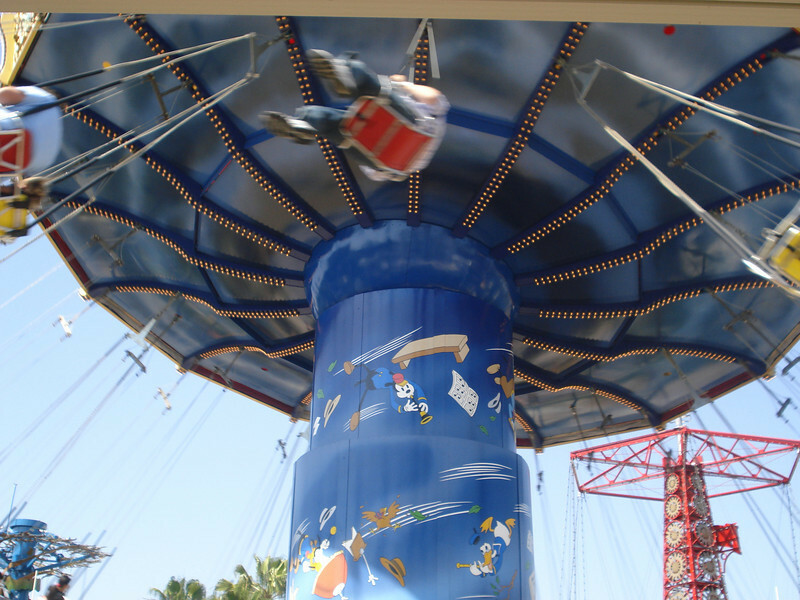 Some of the rides are way too carnival style, but Screamin' is a great coaster, and Soarin' is pretty great. Another negative for me is the lack of food quality. It almost seems like the kind of selections you would find in a mall. Getting rid of the flavor cones was a bad move.